It’s no secret that we live in a world of always-on, information overload. I started this post earlier this week while I was out of town for work, as I was caught up in a self-imposed state of sleep deprivation. Easy to do because: 1) I don’t sleep well when not in my own bed and 2) I am not receiving the evil eye from my husband for spending too much time on my phone or tablet. But yet thanks to our ‘smart’ devices, our attention span is now worse than a goldfish. Smart devices making us dumb and taking us away from precious sleep, both directly and indirectly. So what can we do? We know that sleep is essential to allow the body and mind to rest and recharge, and even more so for people with chronic conditions such as fibromyalgia. The National Sleep Foundation puts it this way: “For people with fibromyalgia, the combination of pain and sleep disturbance is a double-edged sword: the pain makes sleep more difficult and sleep deprivation exacerbates pain.” It can become a vicious cycle, and create flare-ups if not already experiencing one. I was already experiencing pain in my neck and lower back/hips, and shooting pain down my legs. (And that was before I had to haul luggage that was too heavy for any sane person with back problems to be dragging and lifting.) Sleeping in a hotel room, or rather not sleeping, was going to compound the problems. These days everyone seems to be constantly on their phones, busy, and sleep-deprived. Sleep is critical for innovation, creativity, success, and overall health. Ariana Huffington is a huge advocate for relearning good sleeping habits and the power of sleep, having written about the connection between success and well-being in Thrive and how to transform your life with sleep in The Sleep Revolution. She spoke a few years ago at this same conference I just returned from, and at the beginning she asked the audience to put their cell phones down to listen to her, and connect. So while I don’t regularly follow her strategies (Shame on me! ), I do believe in her strategies for better sleep and make use of them when I find myself in dire need. Attending a tech conference these days you are bombarded with information from every angle. It is literally sensory overload. I was starting my days at 7 or 8 AM (that’s starting, not waking) and often attending sessions until after 6 PM, and then attending evening events as well with co-workers and event goers. At least I did pack sensible flat walking shoes this time, as logging 10,000 – 15,000 steps per day on the pedometer is pretty common for this conference. And I have become pretty good at just mentally blocking out the chronic pain I have. 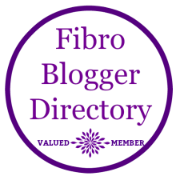 After all, I am a Fibro-Warrior! Most nights back at the hotel in a bed that wasn’t mine, with a pillow that wasn’t mine, I would be up until midnight or so reading, checking email, catching up on the Twitter feed from the day, trying to absorb everything I had heard, or reviewing my schedule for the next. I was having a hard time turning my brain off. Now most nights 6 hours is a good night of sleep for me, but I wasn’t getting that. I was trying to absorb so much information, running from session to session in between 4 different hotels. I have often said that this particular conference is both a marathon and and a sprint! Extra sleep was a necessity. Oftentimes, even as adults, we know what we are supposed to do but refuse to do it. That night back at the room I vowed to do a better job of getting some shut-eye. After dinner I returned to my room and decided to do those things I am supposed to do, to successfully recharge. I made a cup of hot tea. At bedtime when traveling, I tend to use a combination of herbal chamomile and Traditional Medicinals Smooth Move (senna is good for my travel-related tummy issues). Chamomile aids in relaxation and restful sleep. Senna is used to relieve occasional constipation. I took a bath. While I didn’t have all of the toiletries and luxuries at home, I did bring a relaxing face mask with me that I applied while soaking in a tub for a bit. If I were at home, I would have included Epsom salts to sooth my muscles and a few drops of lavender essential oil to promote relaxation. Taking a bath before bed increases your body temperature by a few degrees, which should help you reach a deeper sleep when your body temperature falls at night. I put the electronics away. At home this isn’t a problem. I do not keep my phone or tablet in the bedroom. I don’t want the first thing I do every morning to be picking up a cell phone, so I use a traditional radio alarm clock. In the hotel I do keep it near, because I use it as an alarm clock; I charge it by my bed; and there just aren’t a lot of options in hotels. Studies show we should not be interacting with electronic devices an hour or so before bed, in order to calm the brain. I made the room dark. Those little lights emitting from our cell phones, alarm clocks, and other electronics in the bedroom disrupt sleep. If there’s any indirect light from any of your devices or chargers, also consider a sleeping mask. I forgot my Lavender pillow spray.There are lot of great lavender bath products to try too. I like to use a body spray or pillow spray, and just breathe in the relaxing scent. It’s very calming and relaxing. If you need more ideas for good bedtime rituals, check out Ariana’s books or read this Prevention article about things you shouldn’t do before bed. The last two nights at the hotel, I got a good 6 hours sleep, didn’t wake up once, and felt so much better. I know studies show 6-7 hours is good and 8-9 hours is better, but there really is such thing as too much sleep. I have found that 7 hours is my optimal amount. And when I got home last night to my own bed and pillow, falling asleep holding my husband’s hand, I slept 7 hours and it felt wonderful! Do you have any other sleep strategies you use when traveling or at home?